It’s one of the best transitional pieces as we move from summer through to autumn – the Blazer. In recent years, its resurgence on the high street and online has meant it suits both casual and more formal occasions and a wardrobe isn’t complete without one or two examples. Paired with a coordinating pair of trousers (very on-trend this season), thrown over a t-shirt and jeans or worn with casual wide-leg trousers and trainers, the blazer comes into its own at this time of year. This season there are some fabulous blazers around so here’s a little roundup of some of the best buys and my favourites from the blazers out there. Let’s start with an essential, the black blazer. This one from M&S has a little more detail with slightly puffed sleeves and some gold button detail. You just can’t go wrong with this style and colour; it’s a must for any outfit. Corduroy is HUGE for this season and a cord blazer in orange, pink or pale blue is a winner. Be careful. I’ve seen this one in the flesh and it’s quite thick and boxy, not a style I could wear as I’d look quite swamped in it, but for some it’s ideal. Worth trying it on to see how it looks. Oh I absolutely love this look. 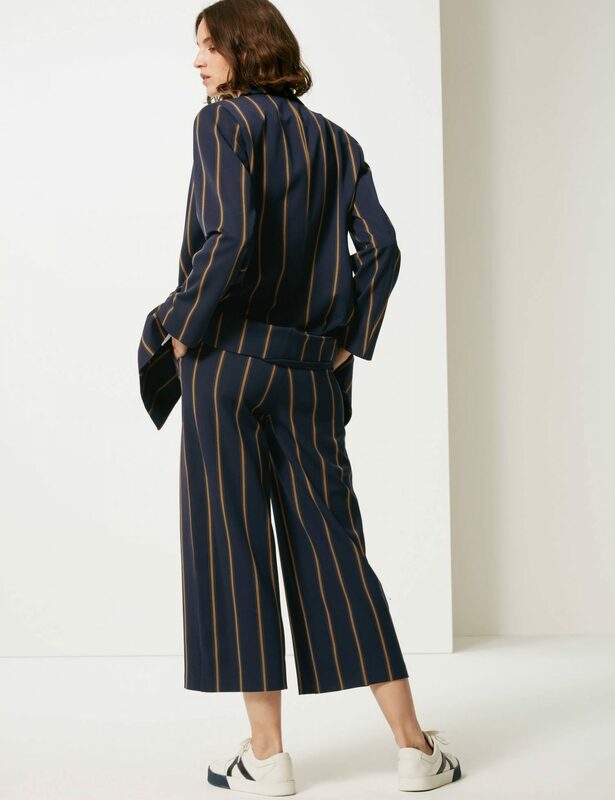 The striped blue jacket looks amazing with the cropped wide-leg trousers and trainers. Limited at M&S is one of my favourite collections – edgy and more tailored than Per Una or their usual pieces. I love how you could wear this jacket with jeans and a shirt too. Do you call it check or plaid? I’m more of a plaid girl I think! Whatever the name of it, this style is everywhere too this season. Great over plain pieces or if you’re feeling bold mix and match with some pattern underneath. Perfect too with a coordinated pair of peg-leg trousers. Pretty much anything goes with blazers this season, and the houndstooth check is pretty popular too. I must admit this is taking me back to my days as a teenager in the 80s (I had a very nifty houndstooth skirt suit from Dorothy Perkins which I wore on my 18th birthday!). Anyway, grab a bold coloured blazer, sling it over some black trousers and a polo neck and let it make a real statement. Back to checks and back to M&S (they really are on point with certain pieces). This navy check double breasted might feel a little ‘gangster-like’ but teamed with a simple white vest or shirt it’s crisp, clean and fun. So there we have a little roundup of the best buy blazers I’m loving right now. Hope it’s inspired you to updated your wardrobe a little and try something new. If you love wearing blazers or have just bought one, let me know below. What’s your favourite style? 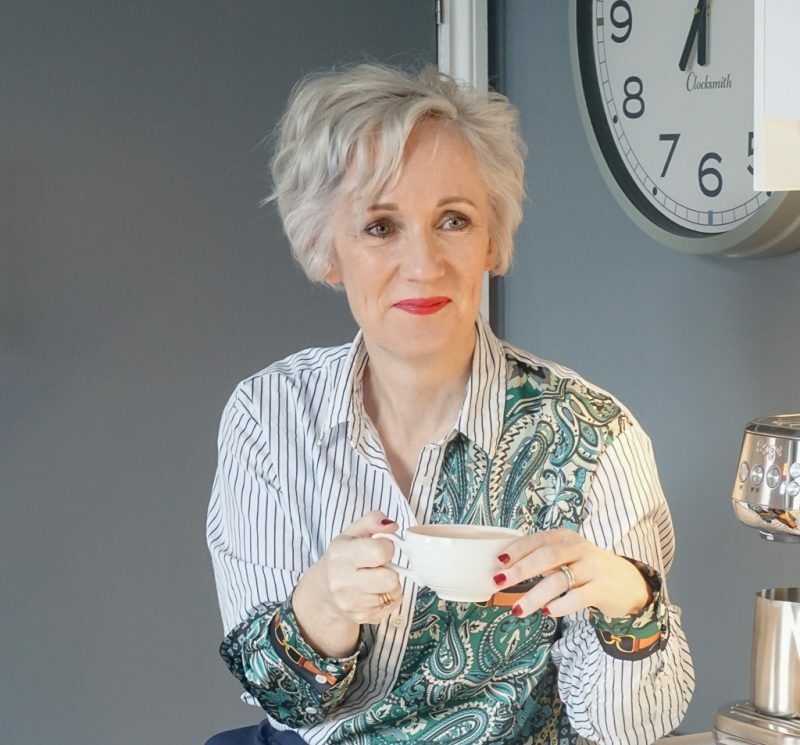 If you enjoy what you’re reading, I’d love you to sign up and follow the blog – each time I publish a post you’ll get an email so that way you don’t miss a thing. Just enter your email address in the little box at the top of the right hand column –>>. I found your internet site from Google and I have to say it was a fantastic find.